Professional Training designed to educate and inspire nonprofit professionals, volunteers, board members and donors. Ignite success with our low cost courses and realistic approaches. CLICK AND SEE OUR FULL CATALOG OF COURSES! MORE THAN 100 ONLINE COURSES NOW OPEN FOR REGISTRATION AND STARTING AT JUST $19 ! Simply click on a course to see what it's about. New to Board Service? The Complete New Board Member Training Certificate Now Available! This full series of courses is just $195! Designed for a new or future Board Members wanting to be successful contributors to their nonprofit. 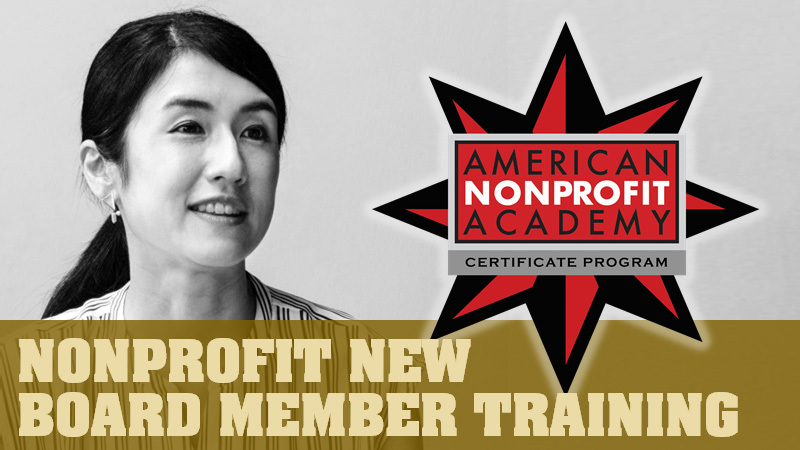 Over 15 hours of video training and multiple downloadable supplements, this Certificate Program includes courses covering nonprofit Board structures, creating and using a Board book, understanding Give or Get policies, Board composition, the financial realities of Board service, legal issues with Boards, a super lexicon, and how to be the best Board Ambassador for your organization. Expand your confidence and value in the organization with this complete group of courses. Price includes a credentialed shareable Certificate after completion of the Program too!